Sojitz is constantly working to improve the accessibility of its website to be as user-friendly as possible. This website uses a responsive web design that optimizes webpages to ensure support on multiple devices, including PCs, smartphones, tablets, and various screen sizes. A webpage will be displayed in its optimized format based on screen width. A page that is viewed on a smartphone may be optimized to fit the relevant orientation for portrait or landscape mode. Click on the “Standard” or “Larger” buttons in the upper right to change the size of the font. Click the “Print” button found on the upper right hand corner of the page. Only the content of the page will be printed, excluding the header, footer, and menu, which are used for the navigation of the website. Click on 日本語, English*, or 中文 near the top to go to the webpages created for each respective language. *The English option is only available on the Japanese and Chinese webpages. If you are unable to locate the information that you are seeking, please use the Search function or the Site Map. 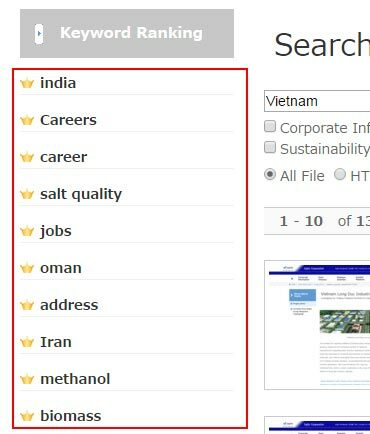 Enter the keywords into the search bar to conduct a search. The dropdown menu allows you to refine your search between Sojitz Corporation and Sojitz Group. On the left side of the search results menu, you can view the most frequently searched keywords. Checkboxes and buttons enable you to further refine your search parameters and the file types on the Sojitz website. Click on “Site Map” in the top of the page to view site details. Information about your location is indicated in the upper left of the webpage displaying your position in the hierarchical structure of the website. The breadcrumb navigation system helps you to be aware of your location and provides a link. Please use it to navigate throughout the pages. This website distributes news release updates using RSS. Refer to the Use of RSS page for details. A webpage that opens in a separate window. A webpage that contains audio content.